As a homeowner, there may be a time where you will need to address problems on your property. Whether you live in a suburban or rural area, trees may have to be removed. There are a lot of instances where you will need to find an effective solution for Richmond tree removal. No matter what the issue is, if the tree is large you will have to find a professional to help you. Sometimes, trees experience decay over time. This could be due to a slow disease or insect infestation. They can also suffer from plant-based infestations. The weak tree will then become a safety hazard. It will also be an eyesore, especially if it’s featured on your front lawn. It’s best to have professionals come in and assess the situation and provide a quote. When your tree contracts a disease that manifests quickly, you may have a serious problem on your hands. Although a single tree in your yard can suffer alone, chances are you will need to cut down and remove the tree so that you can save the other trees in your yard. Tree removal services deal with these problems often and can take care of the issue to avoid spreading the disease. When you have an above ground or an in ground pool, it can be difficult to deal with a lot of trees on your property. The trees can stain concrete, clog filters, and generally make it difficult to maintain the cleanliness of your pool. You may want a tree removal contractor to come in and remove trees that canopy the pool in order to cut back on the amount of leaves. Since you’re removing trees that provide natural shade, you might also want to invest in poolside umbrellas to keep the space enjoyable. If you’re working on a building a new house or adding to the property you currently own, you may need to remove a tree or several in order to fully take advantage of the space you have. Just because it’s an empty lot doesn’t mean you or a general contractor can handle it safely. Tree removal services can help you make the right decisions in regards to what trees should come down. When working on home additions, they can help remove trees that are close to your house safely. It’s very important to work with professionals when you’re taking trees down. When looking for a Richmond tree removal company, make sure that you’re working with a reputable company that will not only take the tree down safely and effectively but also remove stump and the tree from the property. Removal services can be expensive, but as long as the company has a reputation within the community for being effective, safe, and show professional courtesy, there’s no reason why a reasonable price can’t also be a part of the package. 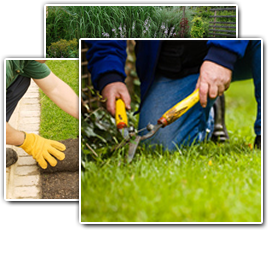 Shop around before choosing a contractor to help you with your tree problem.